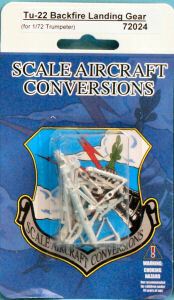 This release is targeted for the Trumpeter 1/72 Tu-22M2 Backfire B or Tu-22M3 Backfire C kits. This set is a drop-in replacement for the kit's gear, though cast in white metal to provide stronger legs for your kit to stand upon. The set includes the two main gear strut assemblies, their retraction arms, as well as nose gear strut and its reatraction arm. 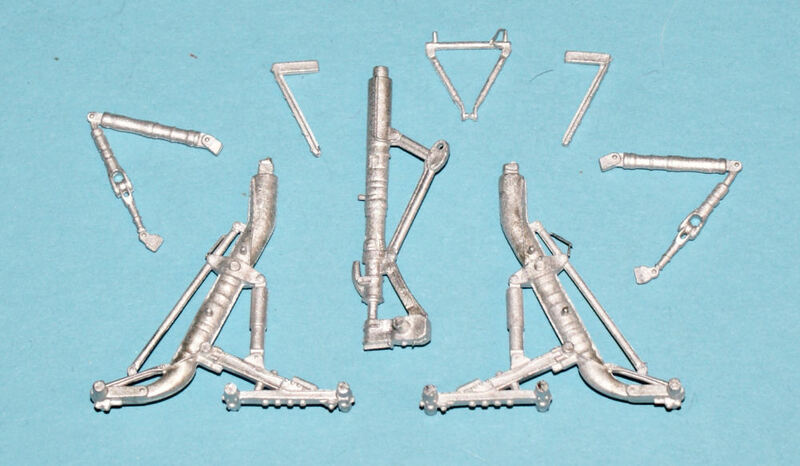 This set should work with the ESCI (and reboxed by Italeri) releases of the Tu-22M2 and Tu-22M3 kits though you'll need to adapt the gear mounts. This is the wrong landing gear for the Tu-22 Blinder kit (not yet done by Trumpeter but previously released by ESCI and reboxed by Revell and Italeri).